As the Solar Impulse arrives in Abu Dhabi, it is interesting to examine the electric aircraft on a conceptual level, as well as its current progress. Without judging the Solar Impulse team’s achievements, it is fair to say their main drivers were most certainly adventure and innovation. The latter being a pillar of aerospace engineering. It is the reason why aircraft continue to become more efficient year after year, and allow more and more people to reach distant places throughout the world. Electric aircraft are one of the newest domains upon which innovation is focused. Few can predict how far they will go. This article presents the Solar Impulse along with a history of electric aircraft, their uses and the challenges to come. The Solar Impulse adventure was started by two aerospace pioneers: Bertrand Piccard and André Borschberg. The former is a Swiss psychiatrist who performed a string of aerospace stunts, inspired by his family’s own history in aviation which goes back 3 generations. The latter is a Swiss businessman, engineer and pilot that used to fly for the Swiss Air Force. Together they came up with the idea of flying around the world with an aircraft powered only by the Sun. From this the Solar Impulse aircraft was born. 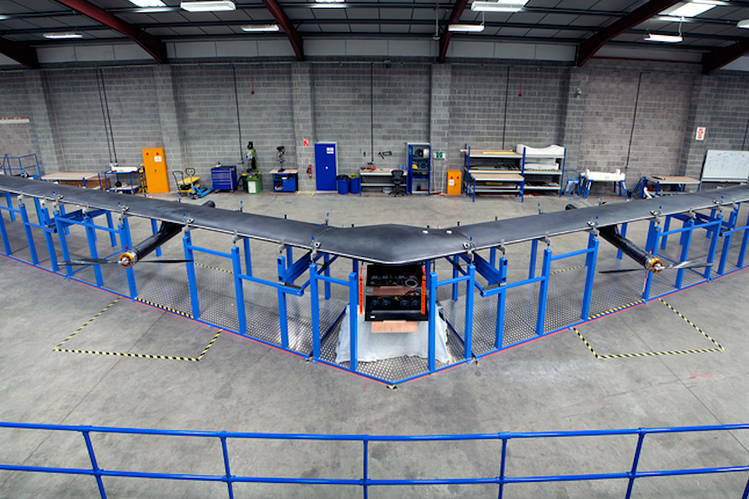 It performed its first flight in December 2009 and has since continued to break the boundaries until the current world tour performed only on solar power. The aircraft flying this world tour is the Solar Impulse 2. It has a wingspan of 71.9m, almost as large as the eighty meters A380 wingspan. It is covered by more than 17,000 solar cells on its wing, fuselage and tail, producing a total of 66kW of power. These are then used to charge batteries or to power its four electric engines. 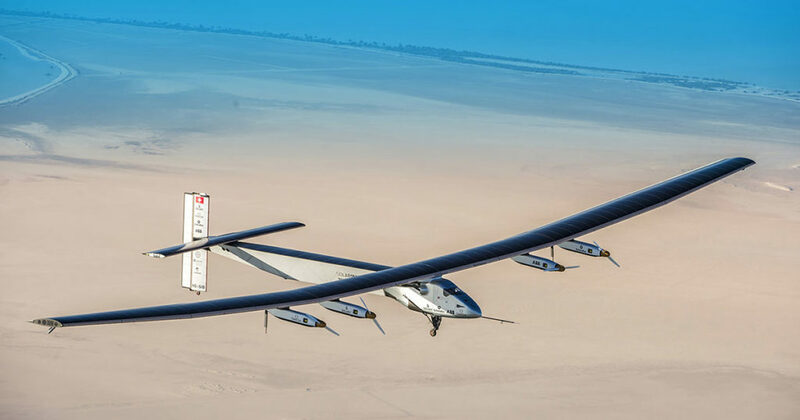 Despite its massive wingspan and enormous number of solar cells, the aircraft is only capable of a top speed of 36km/h making any trip a long ordeal. An around-the-world tour has taken them just over a year, with Solar Impulse finally landing back at its starting point: Abu Dhabi. Originally the trip was supposed to take only a few months, but the aircraft was stranded for almost a year in Hawaii after a grueling four day, record-breaking flight, from Japan to Hawaii. During this flight, being the longest leg of the entire world tour, the batteries overheated and sustained “irreversible damage”. The team therefore had to repair the aircraft on spot and wait for the next summer to have enough daylight to continue this extraordinary journey. Solar Impulse is not the first electric aircraft that ever was. As a matter of fact, the dream of flying in an electric aircraft has been a long ongoing adventure since even before planes existed. The first electric technology was used in 1880 when two Frenchmen used hydrogen powered electric motors to get their balloon back to its departure point. Electric aircraft returned in the 1970s with Robert Boucher and remote controlled airplanes commissioned by the Defense Advanced Research Project Agency (DARPA). A series of aircraft were then built by AeroVironment. One of these crossed the English Channel using only solar power: the MacCready Solar Challenger. These advances culminated in the famous and technologically advanced Helios. This aircraft flew at the beginning of 2000s. It was a flexible flying wing propelled solely by ten electric engines, which were powered by solar panels and hydrogen-air fuel cells. Unfortunately, the aircraft, sensitive to wind gusts, crashed in the Pacific at the beginning of a short flight in Hawaii in June 2003. Since then, a lot of companies have looked into electric aircraft. 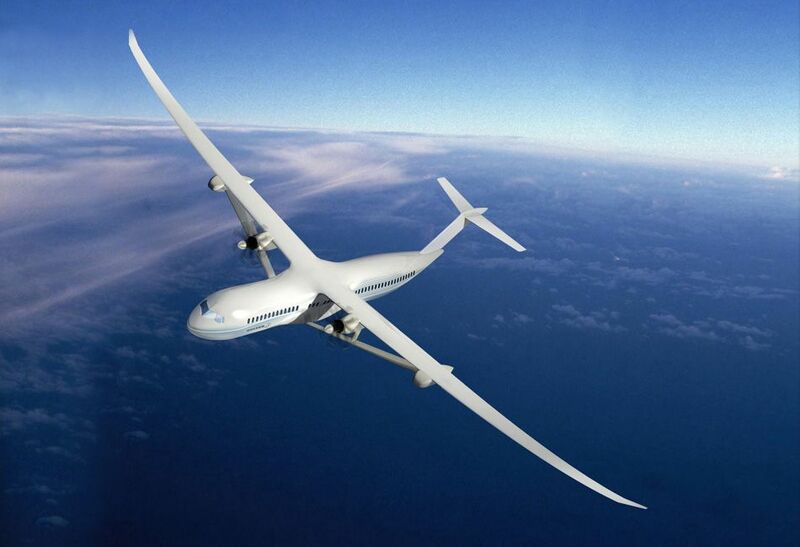 Boeing has come up with an aircraft concept they name the Subsonic Ultragreen Aircraft Research (SUGAR) Volt. This concept presented in 2014 is a hybrid aircraft with innovative cantilevered and foldable wings, and external hydrogen tanks. Boeing’s rival, Airbus, has followed a different approach. It has announced it wants to build a fully electric regional airliner by the year 2050. For this, it is starting at the bottom with the E-Fan, which it has been designing and improving over the last four years. 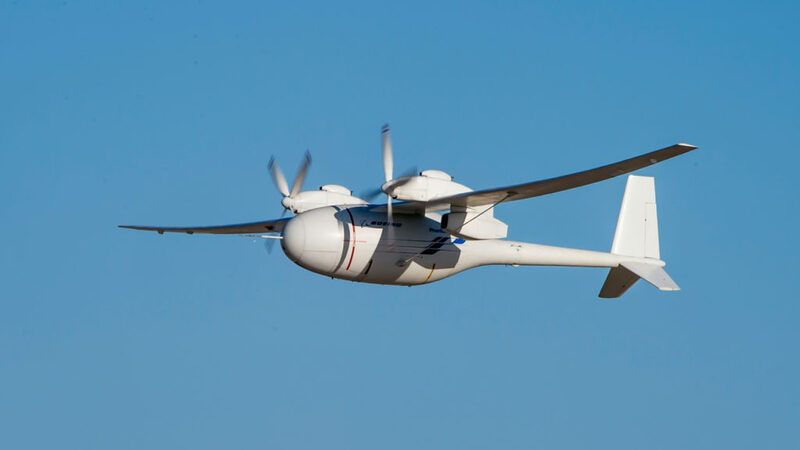 Currently, the E-Fan is a small General Aviation aircraft capable of seating one person and flying for a little less than an hour. It did cross the English Channel in July 2015 for a publicity stunt. Airbus then aims to increase the size of its E-Fan to, hopefully one day, fly passengers on a fully electric airliner regional airliner. It is already producing the E-Fan 2.0 and has designs for the E-Fan 4.0. An Airbus E-Fan.1, an electrical aircraft participates in flying display during the opening of the 51st Paris Air Show at Le Bourget airport near Paris June 16, 2015. How to power electric aircraft? When we think of an electric aircraft, a lot of us only consider solar powered aircraft. This can partly be blamed by Solar Impulse’s large media footprint. However, this is far from being the only solution to power electric motor aircraft. In fact, different solutions have been investigated to power these aircraft. The most famous remains indeed the solar powered aircraft. In this case, the aircraft is powered by solar panels only. This can quickly become a problem when night arises as there is no way to power the aircraft anymore. Batteries were therefore added as a contingency plan. There are of course pros and cons to batteries. The main downside is that the solar panels used on the aircraft must be able to both power the aircraft and recharge the batteries at the same time during the day. This is the strategy that the Solar Impulse aircraft used. The benefit is that the range is greatly extended for the aircraft potentially allowing it to stay in the air for as long as no maintenance is required. The limit for such an aircraft however can quickly become the reliability of the batteries as was seen on the Solar Impulse. If they overheat or get damaged in any capacity, they will force the aircraft to come down and might require extensive repairs. Other techniques have been used to power electric aircraft, one of which is to use electrical batteries only. If the batteries remain accessible upon landing, they can be easily switched for new batteries and allow for a quick turnaround. This however greatly limits the range of the aircraft. In most cases, with current day battery technology, the flight time maxes out at around two hours for small aircraft. The problem here lies with battery technology- they are heavy, which is never welcome in aviation, and have a limited power. Boeing and others have therefore come up with alternatives, one of which is the use of liquid hydrogen. This can greatly increase the range of any aircraft but comes with its own issues – one of which is carrying a voluminous hydrogen fuel tank. This can be done for drones, such as the Boeing Phantom Eye, but tends to be disliked for commercial airliners. Another option is to use fuel cells. These fuel cells can easily be refueled or exchanged and can in some cases be used on commercial airliners. Different compositions have been tested with different levels of efficiency. Boeing and Airbus have both been testing fuel cells for their narrow bodied airliners. The aim for now is to power the APU, and to, maybe one day, power an entire aircraft. Both aircraft makers have however stated that such fuel cells do not make any sense at current costs. The NASA is also exploring additional options related to propulsion methods. As a lot of power is required for take-off and landing, NASA is trying to come up with a way to reduce the energy needed for these two time-limited stages in the flight of an aircraft. 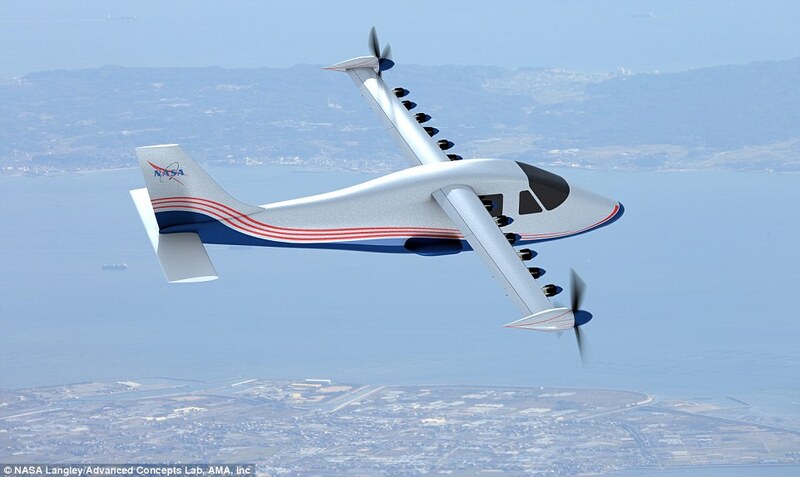 They recently announced a new electric X-plane, the X-57. This aircraft would use 12 small electric motors embedded into the wing to help increase the lift over the wing for take-offs and landings. Once in flight, and with enough lift generated, the aircraft would only use two large propellers at the wing tips to power itself through the flight. Another benefit of having two large propellers is that the speed of the aircraft can be reduced leading to a potential 40% costs savings overall. Finally, there is the nuclear option. This option would technically help power aircraft with electric engines using an on-board nuclear reactor. It has been a dream of the US and Russian armies since the Cold War as it could potentially help establish an aircraft with infinite range. Recently, it has made a comeback in the form of the EU-funded RECREATE project, which aims to provide researchers with resources to find out what would be needed to design a nuclear powered aircraft. Different layouts have been presented, one of which would see an aircraft circulating around the world almost infinitely (not considering maintenance). Passengers would then be brought from airports using smaller aircraft and berthing with the nuclear powered aircraft. Although sometimes considered as science fiction, nuclear powered aircraft could one day roam our skies. Several problems persist. These are related to nuclear shielding that would be required for passengers on-board, how to guarantee cooling of the nuclear reactor even in emergency situations, where would aircraft of that size would be able to land and most importantly would countries allow nuclear reactors to fly above their densely populated cities? Electric aircraft are envisioned to be used throughout all segments of the aerospace sector. 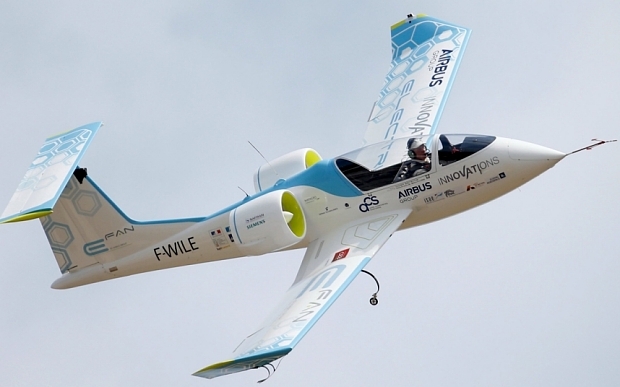 The E-Fan, Airbus’ main electric aircraft, is eyed closely by the general aviation sector and piloting school. Airbus is currently marketing the aircraft as an aircraft with a short range and a short turn around time. As the design matures and the aircraft is ultimately able to carry more than a single passenger, the aircraft would become very interesting. General aviation clients would enjoy a cheaper aircraft which requires less maintenance and can easily be recharged almost anywhere. Range is usually not a key factor for leisure pilots. Piloting schools on the other hand are looking for aircraft with lower costs, very quick turn around times and a range of approximately one hour. Electric aircraft are perfect for these tasks. To counter such problems and to be served as a bridge, Boeing proposed the Phantom Eye which is a hydrogen powered electric aircraft. The aim of this drone is to stay about ten days above a certain location at speeds current conventional drones fly at. It has so far managed to stay more than 80 hours in the air. The aircraft is much more maneuverable than battery or solar powered aircraft and is less subjected to the environment (winds, sun exposition). Its potential payload is also much larger than the payload an electric aircraft can carry. The final use of electric propulsion is emerging in very large dirigibles. These large dirigibles mostly forgotten since the 1950s are making a come back. They are capable to transporting very large loads and require relatively small landing strips. This is of great interest for the army but also to mining companies that can sometimes work in remote and environmentally sensible locations. They are however more prone to the wind as one incident showed in Maryland and Pennsylvania. A dirigible was blown away during a test over a distance of 80 miles causing an estimated damage of $2.8 billion. Innovation is what helps aerospace engineering remain at the forefront of a lot of industries. It is also what motivates a lot of aerospace engineers to come to work every day. Electrical aircraft are one of the domains in which aerospace engineering innovation is best displayed. Engineers have come up with a multitude ways of powering aircraft electrically may it be through batteries, fuel cells or other more ingenious methods. The industry still has a long way to go before we can fly from London to New York in shiny electric aircraft. It might however not be as far as some might think.